The PGA once again takes the initiative to train golf coaches. According to an announcement, the new Level 3 and Level 4 qualifications will be introduced with the aim to sharpen the golfing skills of golf trainers. This will boost the young golf enthusiasts as the trainers will be able to equip all young golfers with varied techniques and playing styles. These new courses for the golf trainers have been introduced in conjunction with the University of Birmingham. 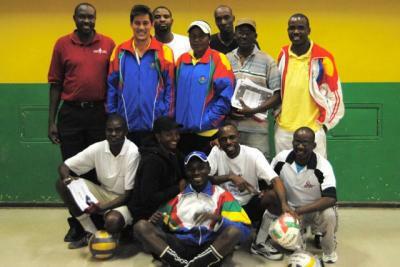 On successful completion of the courses, the UK Coaching Certificate will be awarded to all the trainers. This will serve as the benchmark for industry standards. Earlier, Levels 1 and 2 have been provided to the PGA Tour Assistant Professionals as well as all volunteer golf coaches with the aim of catering to the growth and development of golf across Ireland and Great Britain since January 2008. The present launch symbolizes the culmination of the rising qualifications of the golf coaches. Levels 3 and 4 aim to complete the overall education required for mastering the game of golf. According to Jane Booth, the coaching manager of GB&I, Levels 3 and 4 are perfect for training ambitious coaches and nurturing their skills and knowledge to equip them in their chosen field. These course levels will attempt to deliver annual coaching plans for individual golf enthusiasts. The plans will also encompass varied aspects along with the game’s latest techniques. According to Level 4, the coaches will be asked to take on a critical approach and do some postgraduate researches so that they can better their performances and behaviors on field. Various professional training programs will also be introduced so that the forthcoming generation can hunt a new interest in golf coaching. Alignment is an important aspect of golf as it decides whether a particular swing will be perfect. The professional golfers know very well how to align properly to their target. In order to examine if a player is an expert golfer or a novice, you can analyze his way of alignment to the target. Misalignment to the target is the one and only reason that restricts the golfers from making perfect swings. Various golf tips are there following which assures a novice acquire the relevant skills of how to properly align to the target. The clubs that the golfers use act as the alignment aid for them. Holding a club properly and gripping it in an appropriate manner is one of the most essential golf tips to be followed if one wants to hit a perfect goal. In order to ensure that you hit a proper swing, first of all lay the club on the ground keeping it parallel to the target line. Take another club while practicing and lay it from toe to toe in order to show the exact direction of your stance. Place the third club perpendicular to the target line. 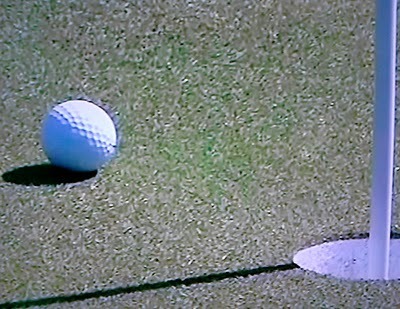 This position will indicate the actual position of the ball. 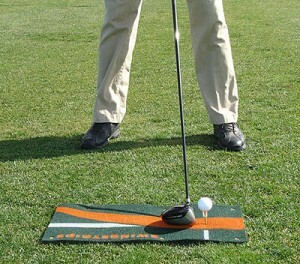 Now examine the alignment properly along with the ball’s position. The next on the list of golf tips for making your alignment proper is to hold the club across your shoulders and then check the position. After the shoulders, check for the alignment to the target by holding the club across the hips and thighs. The overall position should be such that the shoulders in a square stance with hips and thighs must remain in parallel alignment to the target. Following the instructions will surely act as the best among the golf tips for proper alignment to ensure a perfect swing. 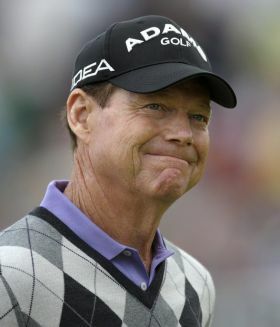 Tom Watson has defeated David Eger, the fellow American golfer, to win the Senior PGA Championship for the second time in his career. It is a decade ago when Watson won this prestigious title for the first time. The match was played in Louisville, Kentucky on Sunday and settled in playoff. Watson is 61 years old. He has rightly proved that age is not a deterrent to do wonder if anybody has strong will force and diligence. It is his sixth major title on the over-50s circuit. With his second-time win, he has become the third oldest winner on the Champions Tour. Watson has always been an accomplished golf player. He is the winner of eight major titles on the regular PGA Tour. Still, every win is a special one and never ceases to give immense pleasure to the winner, confessed Watson. It is his twilight years and still he is going strong on the green turf. What more could be the excellent proof of his iron-like determination and skill? Though he is never miser in praising the young golfer for their unmatched power to hit the ball hard, he himself is a very hard hitter even at this age. In 209, Watson came closer to wining the British Open at Turnberry but unfortunately he lost to compatriot Stewart Cink in a playoff. Watson along with Eger finished the 72 regulation holes level at 10-under-par 278. The advanced years have turned out to be the onset of a golden phase for Watson and we can just hope for many great shows from him in the near and remote future. 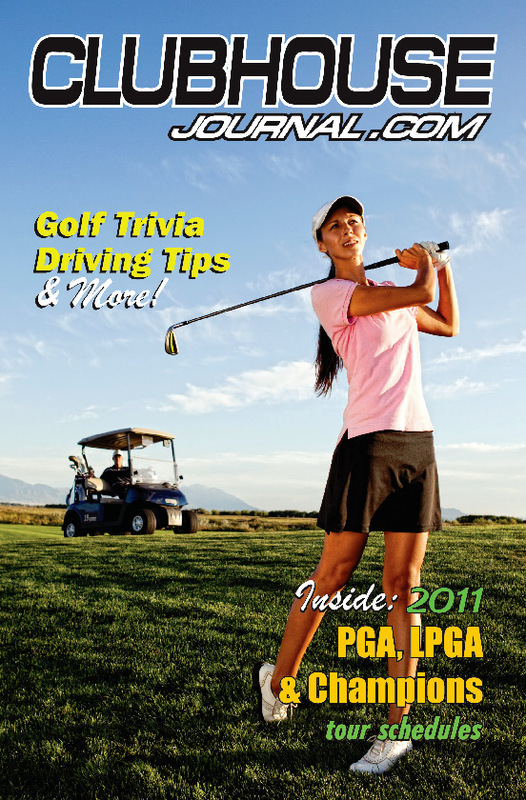 Golf is a game that offers a wide range of careers to the individuals. If you think that the game of golf is only for the one who is interested to play, then you are mistaken. Besides being a national player, you can also opt for several other careers as far as the game of golf and the golf course is concerned. Based on your level of qualification, you can get associated with your desirable profession, which ranges from a labourer cutting the fairways and greens to the golf instructor. Some of the careers do not require any specific skill, whereas few of them need trained officials. In order to acquire relevant skills and traits, several certifications and college degree programs are available. •	General Manager: He looks after the overall operation of the golf course from hiring staffs to developing marketing plans. •	Head Golf Professional: He is concerned with overseeing the matters related to golf shopping and looking after the golf teaching staffs. •	Staff Professional: He coordinates the golf course events and tournaments. 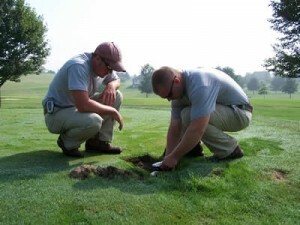 •	Course Superintendent: He must be an expert of agronomy or turfgrass management. He is concerned with taking care of the various grasses and shrubs in the golf course. He also deals with handling the obstacles such as heavy rain, storms, etc. Apart from the above mentioned careers, some other golf tips on choosing a golf course profession include options likeCaddy Master, Starters and Rangers and Food and Beverage Manager. Finally, the PGA takes the initiative to train young golf enthusiasts. Yes, it’s indeed an exciting opportunity for the primary school kids to learn diverse golfing techniques. A new starter course will be offered where the young learners will be provided with Collection irons and putters to let them spend a good time at the six hole par three course at New Brighton. The Wirral Golf Development Group initiated this golfing ground exclusively for the young aspirants. The official launch session of the Club T.G was attended by Eddie Bullock, the PGA Captain. It took place at New Brighton on the King’s Parade walkway. As per the announcement, the new starter golf course will be gifted to around 108 primary schools within the vicinity. Bullock was elated with the announcement and congratulated John Heggarty as well as the Wirral steering group to harmonize with the PGA group and give a grand opportunity to offer golf tips to young school kids. The launch party was also witnessed by several other youngsters from the neighboring New Brighton Primary School. Their presence strengthened the objective of this entire mission. According to many, it’s definitely going to be a beneficial and lifelong project with exclusive beginner lessons. In fact, the initiative is said to be a part of a legacy of Royal Liverpool who will be staging the Open Championship in 2014. Furthermore, this significant undertaking pays a tribute to Chris Gill, late PGA professional who joined the golf development group in 2006 during his last Open at Hoylake.